October | 2014 | Andres Carrano, Ph.D.
Posted on October 24, 2014 by Andres Carrano Ph.D. 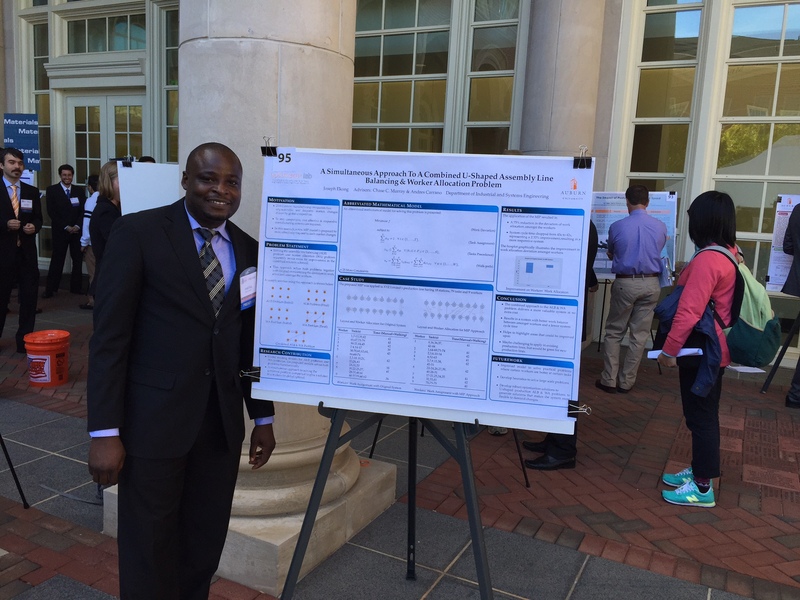 The Ginn College of Engineering at Auburn University hosted the 2014 Graduate Research Showcase on October 23. Over 150 students from a wide range of engineering disciplines, including Chemical, Mechanical, Aerospace, Industrial and Systems, Biosystems, Polymer and Fiber, Materials Science, etc., presented their posters to the public and judges. 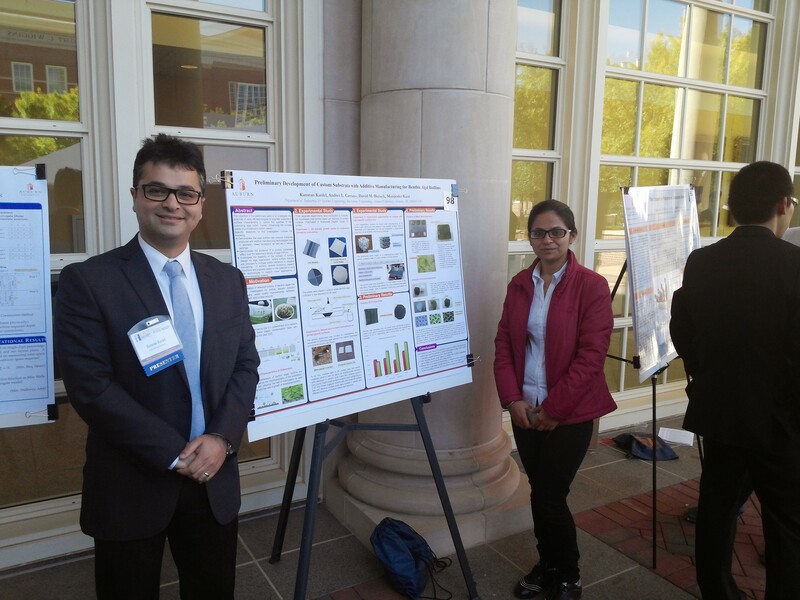 Our students Kamran Kardel (ISE) and Majinder Kaur (Biosystems), who are co-advised with Dr. David Blersch, represented the 3D Printed Bio-Surfaces Laboratory with their poster “Preliminary development of custom substrata with additive manufacturing for benthic algal biofilms”. Also, Joseph Ekong (co-advised with Dr. Chase Murray) presented his poster titled “A Simultaneous Approach for Solving a Combined U-shaped Assembly Line Balancing and Worker Allocation Problem”. This work was awarded the “honorable mention” among the 150 entries in the college. Information on the 2014 Research showcase and the winning entries can be found here. Excellent work by all of them!